The Cassini-Huygens Mission, which ended in 2017, was, by any stretch of the imagination, a remarkable human achievement. Launched on October 15, 1997, the craft was active for nearly 20 years before its final descent into the oblivion of Saturn’s gravity on September 15, 2017. The use of the Internet in schools was in its infancy, but I remember, as a teacher, using the school’s IT laboratory with students to track the launch and to find information on how it was going to get to Saturn. Cassini-Huygens took seven years to reach Saturn. In order to save fuel, an extremely complicated orbit was calculated to use planetary gravitational fields to accelerate the craft enough for its long journey to Saturn. This involved two close approaches to Venus, one to the Earth, and another to Jupiter, which finally whipped the craft off in the right direction for the rendezvous with the ringed planet and its moons. 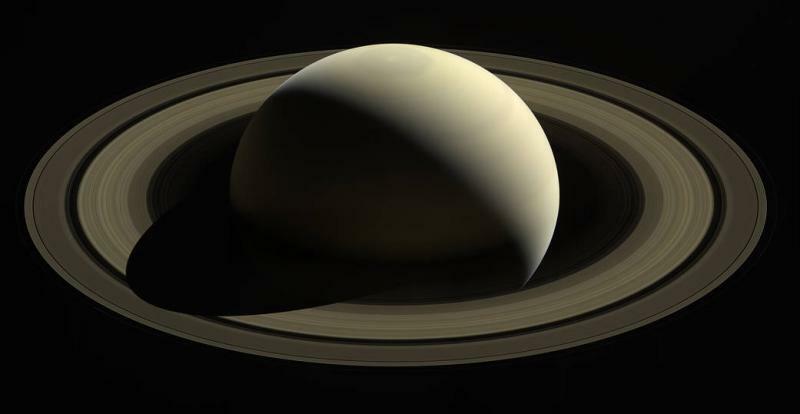 The complexity of the calculations required to power the craft to Saturn relied on the predictability and measurability of gravitational forces elsewhere in the Solar System. Such confidence in calculations was only possible because these universal constants display the wisdom of God. NASA’s brilliant scientists did not assume that their work would be hindered by random evolutionary chance in the way that all these planets behaved. Yet, part of their mission was the vain search for the evolution of life on one of Saturn’s moons. Evolution-minded scientists often cannot see the irony or the inconsistency of such an approach – a reliance on divine design in an attempt to prove such design does not exist! We see, once again, Lord, that You have blessed many people with intelligence and skill. We pray that such people will also gain the wisdom which can only come from acknowledging You as Lord and Savior. Amen. Ref: NASA press release on Cassini-Huygens, , accessed 9/20/2017. Image: NASA, Public Domain.